How to enable and configure RDP brute-force protection. RDP Detection Engine Settings. How to Enable and Configure RDP Brute-Force Protection. RDP Protection Settings. As you probably know, Windows 2008 (and 2008 R2) do not write attacker's IP address to Security event log when RDP connections is made via TLS/SSL. 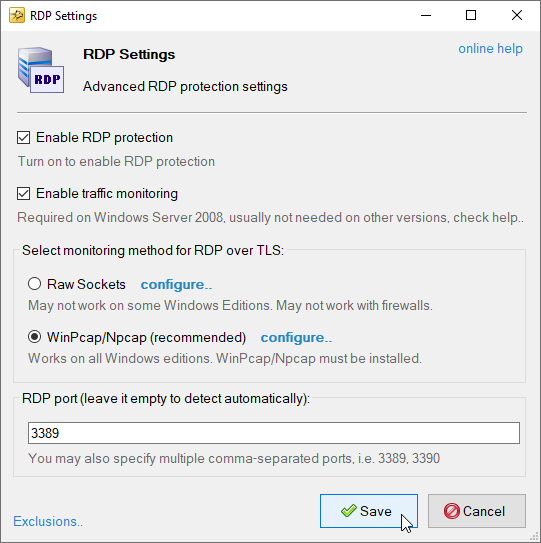 To work-around this issue, RdpGuard uses alternate, traffic-based approaches to detect incoming RDP connections when TLS or Negotiate security layer is selected for RDP encryption. Raw Sockets - Does not work on Windows Server 2008 or with firewalls. WinPcap - Works on all Windows Editions, WinPcap must be installed. This monitoring method works on Windows Server 2008 R2 only if there are no 3-rd party firewalls or anti-viruses installed. It works out of the box and doesn't require any addional software. When Monitoring via Raw Sockets is enabled, RdpGuard listens on RDP port for an each IP address associated with the machine. 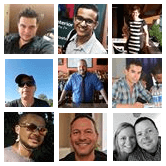 This may affect server performance if there are high number of IP addresses associated with the machine. When you done with the firewall configuration, you may update addresses to monitor in RdpGuard. 4. 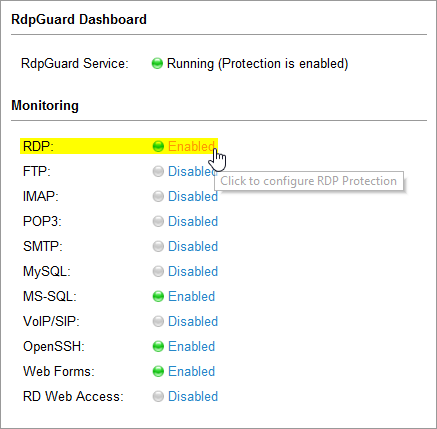 Click Save to save changes and restart RdpGuard service.